Black bears can either be hunted in the spring or fall. During the spring hunt, as the bears come out of hibernation the will begin feeding on the avalanche slides and open grassy areas, as the new growth of the season sprouts up. In the spring the bears are more concentrated in certain areas as the feed and you can expect to see more bears during this hunt than in the fall. 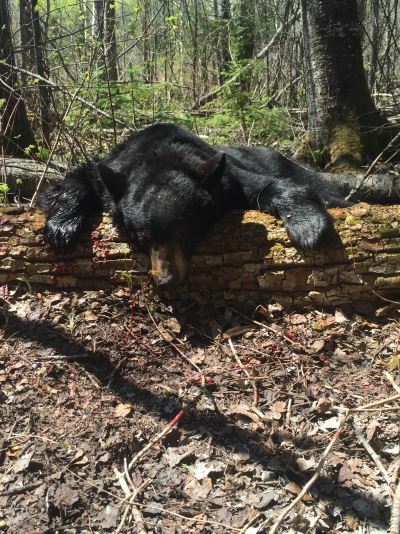 Black bear is an excellent add on species to pair within another hunt in the fall.